Google made a big splash when it threw its support behind Magic Leap with a $542 million investment last year. Immediately people began wondering what exactly Mountain View was so excited about that it was willing to drop half a billion dollars as pure investment -- not even an acquisition. Unfortunately, the startup continues to guard its secrets closely. 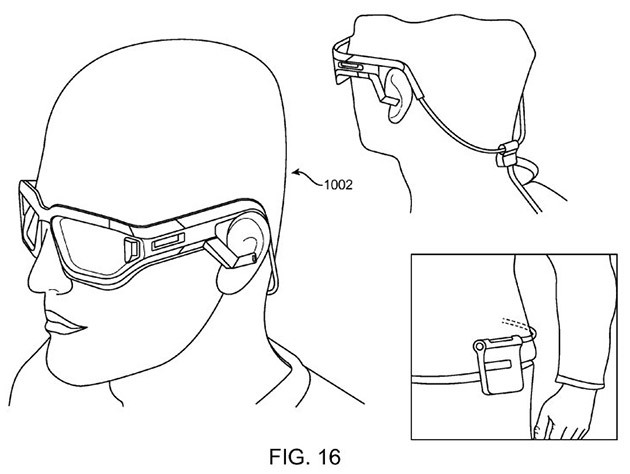 All we know is that Magic Leap has some sort of wearable that blends augmented reality and virtual reality. We know that whatever its building is not meant to be used while stationary... but that's about it. We still don't have specs or a complete features list. We do have some information though, that was revealed during CEO Rony Abovitz's recent Reddit AMA. We know we weren't entirely accurate when we called its product an "augmented reality" headset. But it's still not entirely clear what it is. 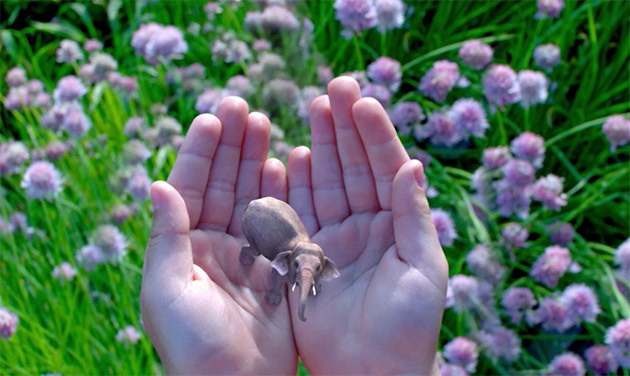 We've compiled the tidbits of info we've heard and read about Magic Leap. Hopefully, it can tide the curious over until Abovitz and his cohorts finally give us all a glimpse of their mysterious device. So, what IS Magic Leap if it's not an AR headset? When asked on Reddit how he'd describe Magic Leap to someone who had never heard of it, Abovitz gave an answer that'll only confuse you more. "You can think of us as techno-biology," he replied. "We believe it is the future of computing." Techno-biology, he explained, "is the proper application of technology to our biology that leads to the experience of magic." There's a reason why the company is calling its technology "cinematic reality" rather than AR or VR: it works a bit differently than either of them. Standard AR and VR use stereoscopic 3D, a technique that tricks you into thinking an object is three-dimensional by showing each eye a different image and a different angle of the same object. The Oculus Rift and Samsung's Gear VR headset are two well-known examples of this technique. In his AMA, Abovitz revealed that he's not a fan of stereoscopic 3D and believes it can cause "temporary and/or permanent neurologic deficits." So, Magic Leap uses a Lilliputian projector to shine light and images into the user's eyes instead, the startup told Metz from MIT's Technology Review. Your brain apparently won't be able to detect the difference between light from the projector and light from the real world: The result is life-like digital images that show reflections like real physical objects would. While Google is the company's highest-profile investor, it's also backed by Legendary Entertainment, the movie studio behind the recent Godzilla reboot and Interstellar. The studio's CEO, Thomas Tull, was really impressed with the unit he tested, so Magic Leap might just have a future in film. As you'd expect, the company is also working on games for the headset. It's already recruited Graeme Devine, a veteran game developer who worked for Lucasfilm and Apple in the past, as chief creative officer. It's also collaborating with Weta Workshop -- yes, the visual effects company behind The Lord of the Rings, The Hobbit and Avatar -- to create games. As part of her report for MIT's Technology Review, Metz was given a demo where she "held" a steampunk robot in her hand that just happens to be character from from a first-person shooter Magic Leap and Weta are working on together. The company has huge plans for Magic Leap, though, and believes it can be used for many, many things other than these two applications you'd usually ascribe to AR/VR headsets. It even hired speculative-fiction novelist Neal Stephenson as a chief futurist to help it make "creator/developer-friendly experience sites and [build] relationships with people and companies who are living the future [it wants] to build." In the trademark applications filed in 2014, there were mentions of special comic book or graphic novel covers. But that's not all: Abovitz also revealed on Reddit that the company is working on non-entertainment apps for the system, including ones for "social, mapping, productivity, creation [and] communication." Applications used for everyday computing, in short. He promised to provide developers access to tools and an emulator to make that happen, as the company "believe[s] that people may want to use this new form of computing as much, if not more than their mobile device." Thankfully, the headset's tech will not cause eyestrain even when used to view 2D content like e-books and ordinary websites, or so he claimed on the AMA. As we mentioned earlier, Magic Leap's keeping mum on the type of hardware needed to power its vision. Based on Metz's experience, it seems there are two working prototypes right now. One is a pair of glasses attached to a towering metal scaffolding, and the other is eyewear hooked up to hardware placed on a cart. Obviously, the consumer version needs to be significantly smaller than either of those, but the team is having a tough time shrinking the technology. Metz said the smallest prototype -- a projector smaller than a grain of rice built into a black wire -- in Magic Leap's headquarters showed her only crude versions of the marvelous 3D images she saw using the much-larger versions. The company, then, still has a ways to go to reach its final goal: to scale the headset down enough to fit its components into an easy-to-carry pack that connects to a pair of high-tech sunglasses. You can see an illustration of what the consumer version could look like above, which the startup included in a patent application. If you're wondering what kind of components are inside the device, we're afraid we still have no idea. Someone on Reddit asked what sensors the headset will have, but Abovitz kept it vague, as usual: "We are working internally, and with partners on proprietary tech and solutions here," he said, adding that he also has a team tweaking the device to minimize its power consumption. When will we see it and how will it affect the world? The short answer is: We don't know. But don't lose hope and call it vaporware just yet: Abovitz said that he and his team already have a target launch date and that they'll reveal commercial availability "in the near future." He didn't confirm or deny if Microsoft and Facebook have shown interest in acquiring the company ("We don't kiss and tell ;)," was his reply, winky face and all), so we can't say if either mega-corp will play a part in the product launch. Some lucky folks might get the chance to attend a pre-launch demo, though, as he promised to give out "golden tickets" for the event. Magic Leap's CEO has a penchant for talking big. When someone asked him if there will still be a need for laptops, phones or smartwatches in a world with Magic Leap, he answered with a, "No," but he did temper that claim by saying that there will be a transition period. "Some people will wait; others will adopt quickly; while some will use both for a while," he said. Whether that is even possible, who knows -- very few people have tested the device as of this writing. All we know is that the man who once dressed up as an astronaut for a whimsical TED talk also told Tech Review that his dream is to blow away "that inner 11-year-old." And to that, we say: Please don't break that promise, and make it happen soon.